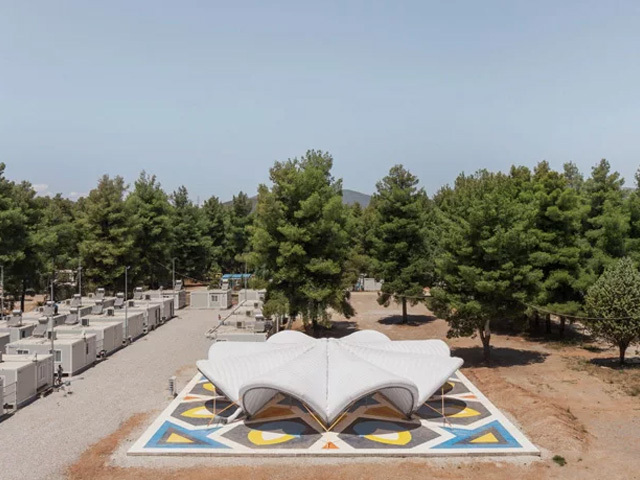 An innovative design for a public space shelter erected in a refugee camp in Greece could be the answer to providing transitory leisure areas with a multifunctional purpose to displaced communities. 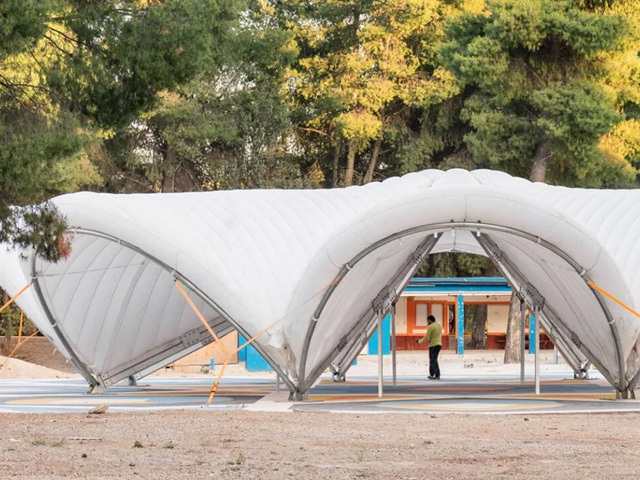 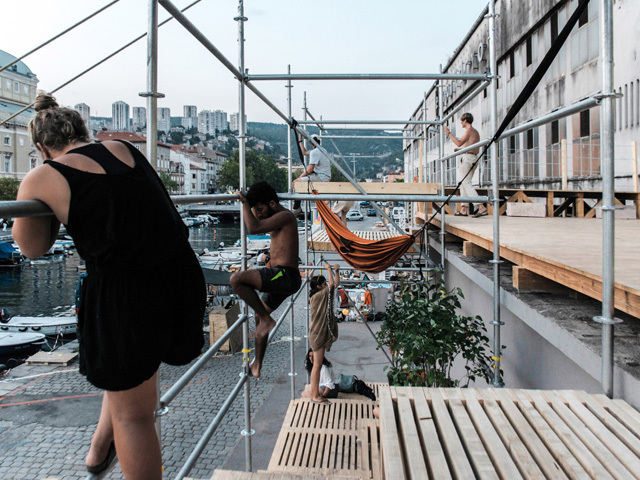 Installed in Risona Refugee Camp in Greece, the Maidan Tent is a prototype shelter created for public use that can be adapted to various activities. 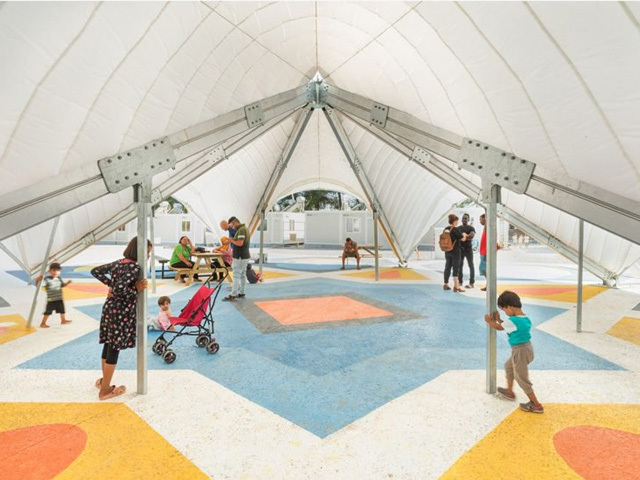 The circular aluminium structure is covered in a water-, weather- and fire-resistant fabric canopy and provides a common area that can accommodate up to 100 people. 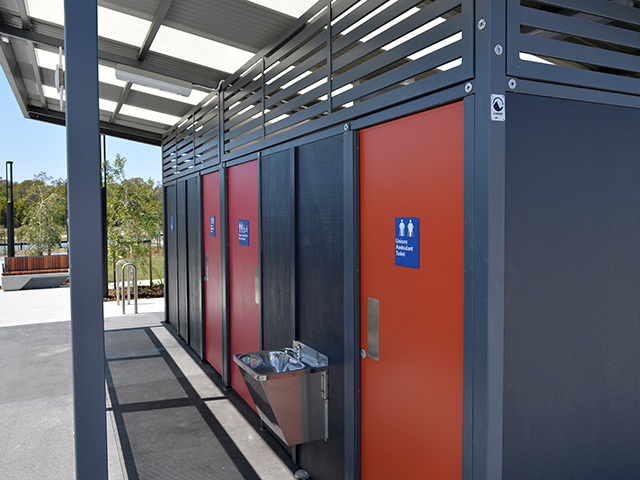 The space can also be divided into eight different sectors, allowing for multiple activities to be conducted at the same time. 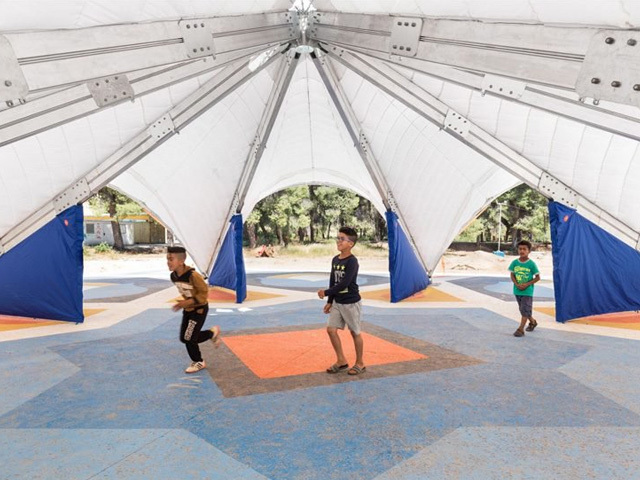 Led by architects Bonaventura Visconti Di Modrone and Leo Bettini Oberkalmsteiner, the Maidan Tent was developed over a two year period, with the aim of creating much-needed leisure space for the hundreds of refugees that currently reside at the Ritsona camp, which includes a number of children. 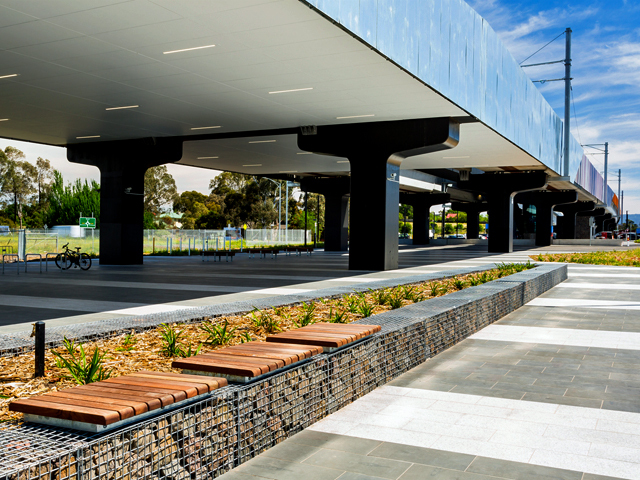 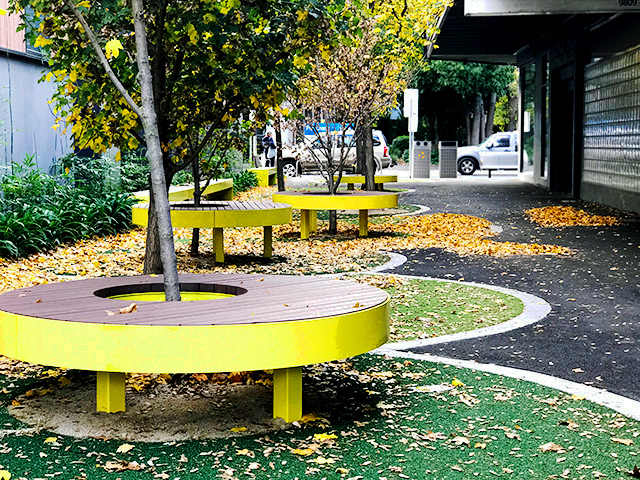 The safe, multifunctional community space can be used for different community gatherings, including reading, socialising, play and more, all protected under a durable cover. 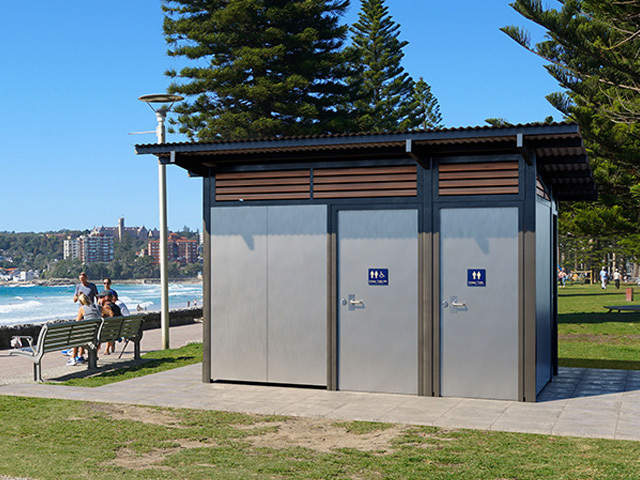 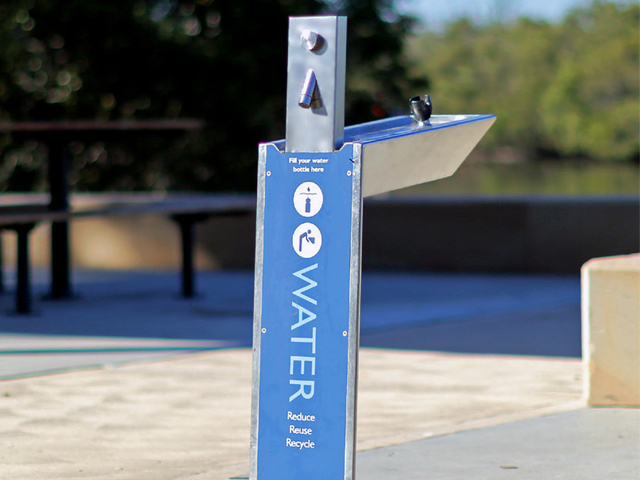 The components of the structure are standardised and designed for easy installation. 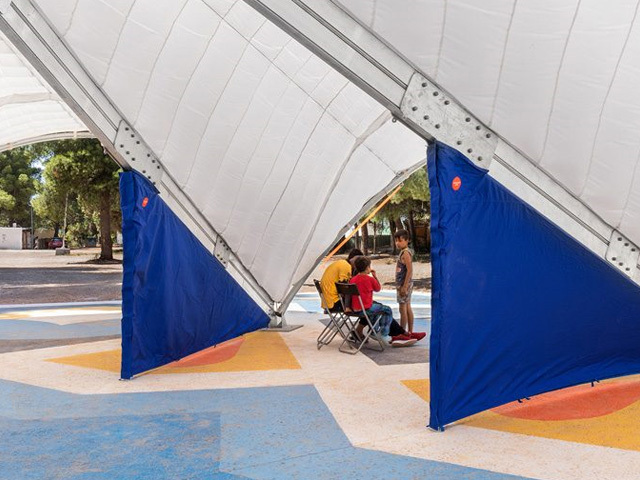 The strong PE + PES fabric canopy is made from durable materials to ensure longevity and is easily transported. 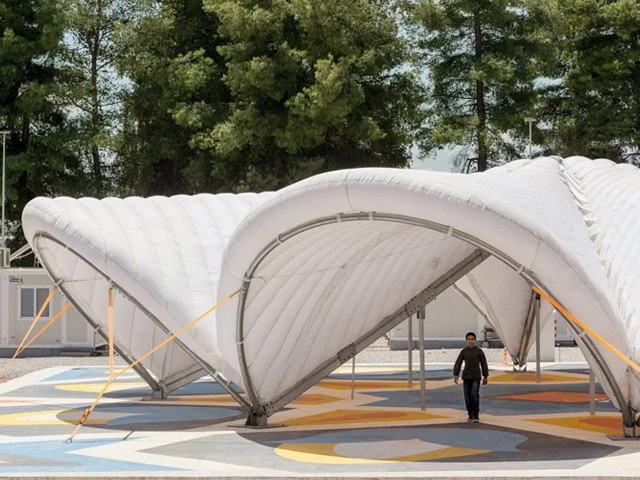 It inflates in only 5 minutes and is resistant to all types of weather and climate conditions, due to its unique shape and thermal insulation, and can be washed and disinfected before being relocated as needed.